It’s often difficult to recognize an alcoholic, as most of them can, at least superficially, carry out their everyday responsibilities. Maybe they’re even members of our families. The high-functioning alcoholics are very adept at concealing their alcoholism from others, even from themselves. However, the signs are there. You just have to search for them.So what exactly is a high-functioning alcoholic? To function is to be able to carry out specific actions or activities, to operate or to work. High-functioning alcoholics, then, can convincingly deal with their prescribed roles and carry out their daily duties – yet they are addicted to alcohol. They can maintain their relationships with their family, friends, and coworkers, keep up with their jobs and hobbies. In essence, they live a double life: they are outwardly the successful, capable husbands, wives, siblings, sons, daughters, friends, or coworkers, while inside they are suffering from alcoholism. High-functioning alcoholics have the same disease with skid-row drunks, but they follow a different progression. With their unique high level of denial, the first often find it extremely difficult to admit that they even drink too much. Through years of success and achievement – in spite of their drinking issue – the HFA isn’t defined as an alcoholic by others. Also, due to the stigma and shame that’s still associated with alcoholism, the HFA would hate to admit to others, let alone themselves, that they have a problem with alcohol. Their personal denial makes others unable to realize that this person is indeed alcoholic. 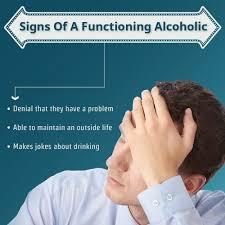 Since they can’t admit that they are alcoholics, HFAs are likely to remain undiagnosed. Also, they are often the last to look for treatment for their disease. 1) The HFAs usually surround themselves with others who like to drink. This assimilation makes it hard to pick out the HFA from the rest drinkers. Besides, the HFA actually enjoys drinking and being around other drinkers. 2) They are obsessed with alcohol. The thought of alcohol is always on the mind of the HFA. They are always counting hours until the next drink and calculating how much alcohol can be consumed without any outward signs of drunkenness. 3) One drink is never enough. Their lure is too strong; the craving consumes the HFA until they can have their next drink – and then the next, and the next. Soon the HFA will lose control over total alcohol intake – although they still might appear outwardly in control. After all, they are masters of concealment. 4) Alcohol is part of their lives. The HFA would rather give up their identity than alcohol. Alcohol is so much a part of their lives that they can’t imagine a life without alcohol. 5) They usually finish drinks of others. If someone leaves a drink on the bar or the table, the HFA might pick it up and finish it, “so that it doesn’t go to waste.” If a family member or friend doesn’t touch their drink, the HFA usually drinks it along with their own. 6) They experience shame over drunken behavior. The HFA does often feel remorse and/or shame over situations where their behavior became sloppy after drinking. Such behavior is not part of their carefully crafted image and they consequently try even harder to avoid such mistakes in the future. However, they won’t quit drinking. Some HFAs only drink expensive wine or liquor fooling themselves that this means they’re not alcoholics. It’s a self-delusion that lets them continue to drink with impunity. 8) They fit life into compartments. Another familiar sign of HFAs is that they’re able to conveniently separate their drinking issue from the rest of their existence. Who they are at home, on their jobs, or to casual acquaintances is entirely different from their drinking routine. 9) They’ve tried to quit, and they’ve failed. At some point, the HFA might have tried to quit drinking but failed. This pattern might often be repeated, but still, the HFA refuses to seek medical treatment. It’s part of their personality makeup and their self-constructed identity that they believe they can handle their drinking problem on their own. Such refusal to get help is hard to overcome. 10) They find excuses to reward themselves with a drink. An HFA feels they work hard and deserves a drink as a reward. Drinking, to them, is both an excuse and a reward. The HFA might even use those words in defense of their actions – to themselves and to others. 11) They try to hide and sneak. When others are going to be around, the HFA might sneak a drink early, drink before going out, or drink on their own. Such secrecy is part of their concealment of their true problem. They have to get in the drinking but won’t risk of others finding out or suspecting their real problem. 12) Emotional and physical consequences don’t matter to the HFA. Whether minor or severe, the consequences of drinking don’t make a difference to the HFA. They will continue to drink, regardless. It’s only when things get really out of control that the HFA might seek help for the problem. 13) They suffer from blackouts, memory losses, or worse. At the end of the HFA’s downward spiral, blackouts, memory losses, and other physical, emotional, psychological, social and even legal problems intensify. It is at this point that the HFA either gets treatment or keeps on deteriorating. Family members or close friends might try to convince the HFA that treatment is essential, but they first have to overcome the HFA’s obstinate denial and resistance. Remember, the HFA has been able to conceal their alcoholism for years. It won’t be easy for them to admit they have a problem they can’t resolve themselves. If you recognize the signs and symptoms, you’ve gotten past your own denial. It’s often tough for those closest to the HFAs to see the signs of alcoholism – even when they have been present for years. Addiction experts say it’s crucial to let the HFA know how much their drinking behavior hurts you. Never approach them when they’ve been drinking or when they are suffering from the aftereffects of drinking. Wait until they are completely sober. It is also essential that the conversation is not defensive. Start by stating how you’d like things to be and emphasize your emotions and concerns. Expect the HFA to deny the issue. You could then talk about how many people can function at home or work and still be alcoholics. Denial might still – and probably will – occur. But be prepared to show tangible evidence of alcohol-related issues. Such documentation is possibly the only proof that will convince the HFA that there could be a problem with their drinking that needs addressing. However, avoid confrontation and conflict, as this won’t solve the problem. You will also need resources to do this. Check out the assessment tools, tips on cutting back, treatment referrals and services at the NIAAA site. For instance, at-risk or heavy drinking involves consumption of more than four drinks per day or fourteen per week for men and three drinks per day or seven per week for women. Look through the FAQs for answers to the most common questions about alcoholism. Professional help to quit drinking might involve medications, alcohol counseling, or specialized intensive treatment programs. Also, on the NIAAA site you can download the NIAAA booklet Rethinking Drinking: Alcohol and Your Health. When groundwater is rapidly consumed, recharge to the original levels by natural process can take months or years. If corrective actions are not taken, it may lead to famine due to collapse of agricultural output and severe potable water scarcity. In the present scenario management and distribution of water has become centralized. People depend on government system, which has resulted in disruption of community participation in water management and collapse of traditional water harvesting system. As the water crisis continues to become severe, there is a dire need of reform in water management system and revival of traditional systems. Scientific and technological studies needs to be carried out to assess present status so as to suggest suitable mitigative measures for the revival to traditional system/wisdom. Revival process should necessarily be backed by people’s initiative and active public participation. Living creatures of the universe are made of five basic elements, viz., Earth, Water, Fire, Air and Sky, Obviously, water is one of the most important elements and no creature can survive without it. Despite having a great regard for water, we seem to have failed to address this sector seriously. 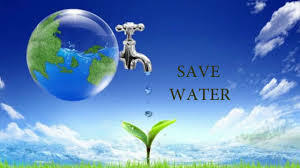 Human being could not save and conserve water and it sources, probably because of its availability in abundance. But this irresponsible attitude resulted in deterioration of water bodies with respect to quantity and quality both. Now, situation has arrived when even a single drop of water matters. However. ” better late than never”, we have not realized the seriousness of this issue and initiated efforts to overcome those problems. System of collection rainwater and conserving for future needs has traditionally been practiced in India. The traditional systems were time-tested wisdom of not only appropriate technology of Rainwater Harvesting, but also water management systems, where conservation of water was the prime concern. Traditional water harvesting systems were Bawaries, step wells, jhiries, lakes, tanks etc. These were the water storage bodies to domestic and irrigation demands. People were themselves responsible for maintenance to water sources and optimal use of water that could fulfill their needs. The term rainwater harvesting is being frequently used these days, however, the concept of water harvesting is not new for India. Water harvesting techniques had been evolved and developed centuries ago. This is perhaps one of the most frequently asked questions, as to why one should harvest rainwater. There are many reasons but following are some of the important ones. In urban area rainwater flows away as surface runoff. This runoff could be caught and used for recharging aquifers by adopting appropriate methods. It is a system of catching rainwater where it falls. In rooftop harvesting, the roof becomes the catchments, and the rainwater is collected from the roof of the house/building. It can either be stored in a tank or diverted to artificial recharge system. This method is less expensive and very effective and if implemented properly helps in augmenting the ground water level of the area. In this method rain water collected from the roof of the building is diverted to a storage tank. The storage tank has to be designed according to the water requirements, rainfall and catchment availability. Each drainpipe should have mesh filter at mouth and first flush device followed by filtration system before connecting to the storage tank. It is advisable that each tank should have excess water over flow system. Excess water could be diverted to recharge system. Water from storage tank can be used for secondary purposes such as washing and gardening etc. This is the most cost effective way of rainwater harvesting. The main advantage of collecting and using the rainwater during rainy season is not only to save water from conventional sources, but also to save energy incurred on transportation and distribution of water at the doorstep. This also conserves groundwater, if it is being extracted to meet the demand when rains are on. b) Recharging of dug wells. Say no to junk food… Live happy life…. If there’s one thing that’s typically always true about human beings, it’s that they love to eat. Now when I say eat, I mean consume a lot of food. But guess what? We’re not talking carrots and celery here. Generally we prefer to gorge on junk food galore. Why? Simply due to the fact that it tastes great! There’s certainly a satisfaction that comes with snacking on some nachos or scarfing down a brownie sundae. My apologies if I’m making you hungry. Anyway, different individuals have a different take on whether junk food should be consumed or not. If you ask me, I’d say that all of those tasty sweets and snacks are okay to nibble on, if you put a limit on how much and how often you indulge. Naturally there should be a limit to your junk food intake. What would you consider to be unhealthy or junk food? Most people pinpoint fast food restaurants and sweets. At this point, I think it’s pretty obvious what falls into the junk food category and what does not. Treats like chips, movie theater concessions, candy, chocolate, soft drinks, cakes, pies, and pizza are all clearly foods that do nothing great for your body or health. However, we all already know this. But it definitely doesn’t stop us from purchasing these foods on a routine basis. I even know health nuts who eat poorly on occasion. Hey, we all love some junk food. Therefore we’ll all look for ways to eat it sometimes, whether we typically stick to a well-balanced diet or not. When it comes down to it, much of the convenient foods that are bad for you, are also convenient and often less pricey than the healthy foods. People always believe that DIETING means bland food without taste. Certainly not, In fact diets are also tastier like our normal and usual diet. The diet for a person with diabetes is a diet without sugar or fats. It can also be tried out by all people especially obese and who want to prevent diabetic. When you make changes in your lifestyle and eating habits that will make you feel healthier and more energized. You need to pay strict attention to the food that you eat when you have diabetes and diet guidelines need to be followed. However, this does not mean that your days now need to be filled with boring tasteless food. Many people find that their new diabetes diet plan actually tastes better and is more satisfying that the food they were eating before. 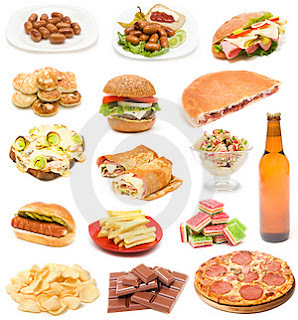 Junk food refers to fast foods which are easy to make and easy to consume. They have only fats lying in it causing ill effects on the health of the consumer. The taste is the most attractive feature in junk foods. Nevertheless, junk foods are popular because of their simplicity to manufacture, consume and of course, their taste. People have their own notions about a certain food being listed as junk. However, huge Burgers, full pizzas, potato wafers ,Ghee roasted Masala Dosai, Idlies with Sambar vadai ,Mutton Biriyani , high calorie wedding food, chocolates and fries will surely find their way into everyone’s list. 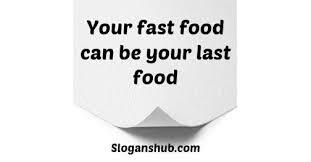 Junk food and fast food when taken in excess in daily basis make health hazardous too. And affects the cholesterol levels. Secondly, the sugar and sodium salts have their effects on health. High calorie content with sugar can lead to obesity. Cholesterol and salt are known to increase the blood pressure, stroke and heart diseases in a chain. Excessive salts can affect functioning of kidneys too. Consuming junk food has reduced level of essential nutrients thereby causing weakness in the body. Junk foods also cause damage to the pancreas resulting in diabetes mellitus. These foods they are filled with carbohydrates which will spike their blood sugar levels, sugar levels rise and fall drastically Fluctuation in the blood sugar not good Glycemic control. Junk food enthusiasts are prone to put on weight, especially when they eat this kind of food very often. The fat and processed flour only make you fatter and fatter, as does the oil and grease that are used for fries and other deep-fried foods. Besides, when you eat junk food, you tend to gulp down sodas and colas which are laden with sugar and which increase your tendency to put on weight. Junk food makes you feel sleepy and less inclined to be active and alert. Your reflexes and senses become duller day by the day and you start to lead a more sedentary life. Even liver gets damaged due to presence of fat, cholesterol and salt in the junk foods. When a person consumes junk food in excess, body finds difficult to digest and needs to spend high amount of blood and enzymes as a result, the person feels drowsy and suffers with reduced concentration. When you eat too much junk food, you neglect to eat the nutritious food like fruits and vegetables and other wholesome food. This means that your body does not get the necessary nutrition it needs and you end up with a weak immune system. So you’re often prone to illnesses like colds and fevers which although not serious, tend to have a nagging effect on your life. They prevent you from being as active and organized as you would like to be. Processed foods have no fiber content whatsoever and that is why you feel constipated when you go on a junk food binge. These days’ teenagers and young children prefer to take fast and junk food in their regular diet parents also encourage them to take these foods which can affect their health in future. So all teenagers and IT people try to take healthy food like vegetables ,whole grains ,nuts, whole grams and fruits at least once or twice a day. Whenever you take pizza or burger or noodles or fried rice add more vegetables. still stopped by at fast food outlets after a tired shopping or walking in the mall? Consider again before taking part in queue. A recent study shows fast food wrappers as dangerous as ‘junk’ food itself. Wrapping paper for the fast foods contain perfluoroalkyl toxins that pollute blood. perfluoroalkyl is a toxic chemical synthesis to coat the surface of the wrapper so it will not leak due to oil, grease or water. Phosphate deposits perfluoroalkyl (Pap) or fraction perfluorinated carboxylic acid (PFOA) in food packaging led to blood ‘piss’. If it’s true that we are what we eat, isn’t it time to make the right choices for ourselves and for our families? Since we live in the age of cyberspace, you’d better believe that you can find any and all sorts of junk food just by hopping on the web. 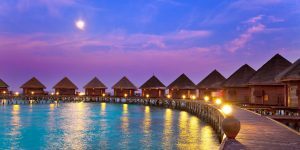 Purchase fine chocolates from all over the world, order delicacies that can’t be found in your home town or small city, or buy low-priced bulk items with the simple click of a mouse. All sorts of treats and goodies can be found on the Internet. The trick is to limit your junk food intake and be prudent when it comes to your overall health and diet plan. You can enjoy the “junk,” but don’t go too far and allow it to damage your health. Stop Suicide. Live a beautiful life…. Stop Suicide, Grow Up Youngsters! One of the biggest reasons for deaths in the world besides illnesses such as cancer and heart diseases is Suicide. There are more and more people who are deciding to end their lives foolishly and in a cowardly manner. In Perth Alone, there has been a rise in the number of suicide cases. What is the reason? There are so many young people, who are unable to cope up with the facts of life and decide to end it. Suicide is becoming alarmingly common these days and there needs to something done about it. Increasing population, Globalisation, competition, lack of privacy problems are some reasons that are increasingly driving people to contemplate a step as extreme as suicide. Of the usual demograph, the 20-something age group seems to be the most volatile of the lot. Unrealistic goals coupled with the desire to have more never seemed to end. Today I want money, then I want more money and thereafter I want even more money. Nothing is good enough, nothing is enough. And that is what frazzles their nerves and makes them fragile. Break up of the joint family system, increasing number of one parent families, nuclear families, have made parents take the easy way out- giving material gifts in the place of time, communication and emotional stability, as a result the child’s coping skills are not fully developed and this makes them vulnerable to all and any stress-causing stimuli. Youngsters suffer from a severe loss of a confidence. When they do confide their suicidal tendencies to their friends and family, the warning is usually not taken seriously and sometimes even brushed off as emotional blackmail. The affected individual feels unimportant, emotionally bruised and uncared for. And that’s when the concerned individual decides to act upon the warning. The suicidal feeling can subside with emotional care, communication and concern. Callers can get emotional support for their suicidal pain, they are assured of confidentiality and anonymity. Suicide survivors are not attempters. There are also family members, others who survive following the death of their loved one by suicide. About 1 lac people die by suicide in India every year. Each suicide leaves at least 7 people devastated. 7 lacs people become survivors every year in India. What factors make suicide Grief and Bereavement different? Suicide death is sudden and unexpected. Death by suicide often leaves unfinished, irresolvable issues. Death by suicide is often violent. Suicide often occurs in systems already experiencing stress. Search for a reason for the suicide … Why? HOW WOULD I KNOW IF SOMEONE IS THINKING ABOUT SUICIDE?Depression and suicidal feelings are very treatable. The adolescent needs to be assessed by a mental health professional and treatment instituted. When in doubt whether an adolescent has a serious problem, choose to get an assessment. Adolescents who are depressed may say they want to be dead or may talk about suicide. Depressed adolescents are at increased risk for committing suicide. Depressed adolescents may abuse alcohol or other drugs as a way of trying to feel better. Complain of being a bad person or feeling rotten inside. Give verbal hints with statements such as: I won’t be a problem for you much longer, Nothing matters, It’s no use, and I won’t see you again. Become suddenly cheerful after a period of depression . Have signs of psychosis (hallucinations or bizarre thoughts). HOW CAN YOU HELP? WHAT YOU CAN DO? If you notice these signs and symptoms or an adolescent makes statements about harming him or herself, committing suicide or not wanting to live always take the statement seriously and immediately seek assistance from a qualified mental health professional. People often feel uncomfortable asking the question, “are you thinking about hurting yourself” or “are you suicidal” but it is absolutely necessary. These questions will actually provide assurance that somebody cares and will give the young person the chance to talk about the problems. Take every complaint or re4ference to suicide seriously. Be direct when addressing suicidal intentions. Ask: “John, are you thinking about suicide?” If the person is suicidal, studies show that such a question can be a relief. Her or she may actually welcome the chance to express painful feelings. If the person is not suicidal you have still expressed care and concern. 1. The presence of a suicide plan. 2. Possession of means for suicide. 2. Do you have the means? Never leave a person alone who has secured a means for suicide. 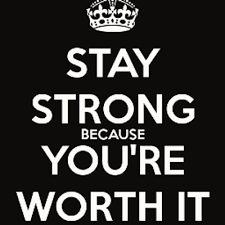 Do not allow yourself to be one helping a suicidal person. Share your concerns with those who can help. Do not be bound by secrecy. An angry friend is better than a dead one. 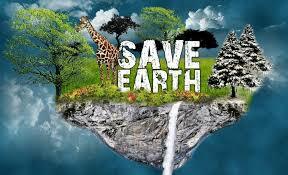 Save Earth, “before it gets too late”. 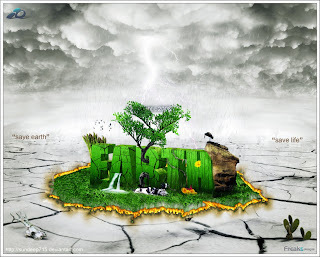 The main cause for global warming is considered as Green House Effect. 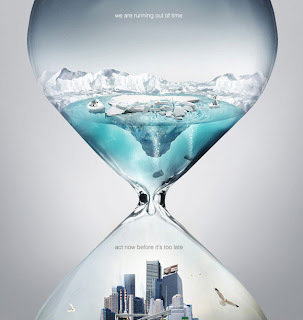 Global warming is closely linked to the enhanced greenhouse effect which is an increase in the concentration of greenhouse gasses in the atmosphere leading to an increase in the amount of infrared or thermal radiation near the surface. Also one of the major causes of global warming is Carbon Dioxide, which also adds in global warming. Green house effect is the one to blame. As global warming is the increase in temperature of earth’s surface, which is caused by green house effect. Gasses like carbon dioxide, methane, and nitrous oxide accumulate near the earth’s surface. They trap the heat over the surface of earth and increase the temperature of it. But do you know that green house effect is also very important to maintain life on earth. A major cause is deforestation. Due to deforestation the increase in carbon dioxide in atmosphere is seen. Actually forests trap a lot of carbon dioxide within them, but when they are cut down all that CO2 is released into atmosphere. Due to increasing population in world, the needs for lands are increasing due to which forest need to cut down. A “carbon sink” is a natural system that stores carbon over thousands of years. Such sinks include peat bogs and the arctic tundra. But if these sinks destabilize, that carbon will be released, possibly causing an unstoppable and catastrophic warming of the Earth. According to scientists oceans store as much as 50 times more carbon dioxide than atmosphere. but these days even oceans are unable to store it. Oceans have a large amount of Phytoplankton which stores CO2 in them. But due to dissolution of CO2 in oceans forming carbonic acid kill plants. Carbon dioxide is harmful for environment. But it is as useful too for environment. Carbon dioxide is use by plants to complete their photosynthesis process to make food. Large amount of carbon dioxide is very harmful for human beings and animals too. But plants grow upto 50 percent faster in very high amount of it. Ozone is utmost important for earth as it prevents the incoming UV and infrared rays to come to earth. But it is also responsible for air pollution to some extent. Ozone can block the pores of plant leaves and then their photosynthesis will be slowed down. CFL’s use atleast 60% less energy. If we switch to them then atleast 300 pounds of CO2 an year will be reduced. That means in India we can save cut down 87 billion pounds of CO2 each year. Most scientists agree that the Earth is in fact experiencing increasing temperatures, and many believe that humans are enhancing this overall warming trend. The likely effects of global warming will not be limited to one country ? or even one continent ? and will permeate almost every aspect of the environment and of life for all living things. Potential effects listed here are just a handful of those discussed in the Intergovernmental Panel on Climate Change’s (IPCC) . 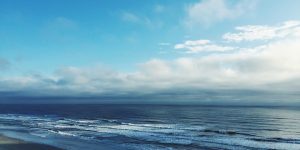 Rising sea levels are the most common concern; taking place with a thermal expansion of the oceans? A result of water molecules expanding in warmer temperatures, increased precipitation, and the melting of mountain glaciers. 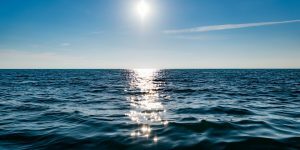 Because all bodies of water have varying shapes and ocean water tends to “swell” differently depending on its starting temperature, the change in sea level is not uniform over the surface of the Earth. In the 20th century alone, sea levels rose 0.17 meters predictions for the next century range anywhere from 0.18 to 0.59 meters. While smaller projections would likely have only relatively modest impacts, the higher projections could have dramatic effects on low-lying coastal communities. An increase in global temperature will likely enhance the ability forsevere weather, which could mean stronger and more frequent storms. Warmer temperatures cause more evaporation of water, which, as part of the water cycle eventually leads to increased precipitation and further increasing the potential for flooding. While some parts of the world are projected to experience increased precipitation, others may experience higher levels of drought as places that are typically dry ? such as the centers of continents ? experience even more evaporation as global temperatures climb. Scientists, however, are trying to determine whether drought is actually increasing or if we are experiencing a shift in areas of drought. Warmer winters mean that many deaths related to cold temperatures might be avoided and that the growing season will last longer, a possible upside to global warming. More people around the world die because of winter cold than because of summer heat. A decrease in winter deaths could offset a potential increase in summer heat-related deaths, or even lead to more lives saved as a result of the changed temperatures. With respect to longer growing seasons, there is already evidence in Europe that their growing season has been extended since the 1960s, with spring plants now blooming about 6 days earlier and fall colors coming 5 days later. With drought affecting some regions and heat intensifying in the tropics, many areas will become unsuitable for agriculture. In tropical areas that are already dry and hot, the ability to harvest food will likely decrease even with small increases in warming. 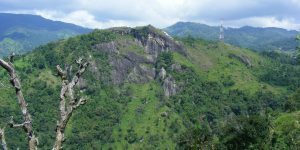 However, warmer temperatures and increased precipitation can also make previously marginal land more suitable for farming. Therefore, it is likely that, with a changing climate, a global change in the agricultural pattern will occur. Yet, it is unknown as to whether or not the increase in the usefulness of marginal lands will counterbalance an increase in drought and desertification. Other species are also affected by global warming, most often by changes in migration patterns, shorter hibernation times, relocation to new areas, and extinction due to lack of adaptation. For example, many animals accustomed to living in the arctic regions, such as polar bears and penguins, have been forced further out of their native habitat in search of more accommodating habitat closer to the poles. Animals that migrate, such as birds and butterflies, have begun extending their migratory range closer to the poles, arriving sooner and departing later. 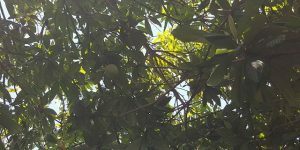 Trees produce oxygen whereby it absorbs harmful carbon dioxide and releases several thousands of rupees worth of life giving oxygen free of cost. The absorption of carbon dioxide that is a ‘Green House’ gas helps slow down Global Warming. 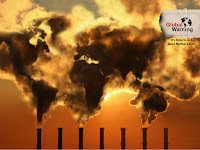 Global warming is caused by green house gases, which trap in the sun’s infrared rays in the earth’s atmosphere, which in turn heat up the earth’s atmosphere. The main gases contributing to green house effect are carbon dioxide, water vapor, methane and nitrous oxide. The largest producers of these gases are the thermal power plants, which burn the fossil fuels and produce these gases in large quantities. The second biggest sources of these green house gases are the road vehicles and industries. The concentration of various green house effect gases has substantially increased in the recent times. 2. Ask neighbors to take care of trees. 3. Tell children about flowering trees. 4. Give away an award to the child who plants max flowering trees..
5. School curriculum should also have save a tree campaign to save trees in school. 6. On every child birth, It is important to plant a tree to show happiness. 8. Men should take care of the trees around their offices on any day that they get time – some days are free sometimes work in office is less men can sure join to save trees, buy fertilizers etc or donate towards such causes. 9. Gift a child a tree and ask the child to take care Award him 1000 rupees if the tree grows to its full size. 10. Spread the uses of useful plants. Planting trees is not the only way by which we can preserve our environment. It is so unexciting to read the same old message, rotting away on your newspapers, blinking on your inbox and plainly printed in your textbooks, about every degree warmer the earth’s getting, with every new thing you’re doing. The concentration of carbon dioxide in the atmosphere has risen from 290 (ppm – parts per million) in 1900 to nearly 400 ppm. However unnerving it is to ponder over the situation, it is way more important to do something about it But what? 1. 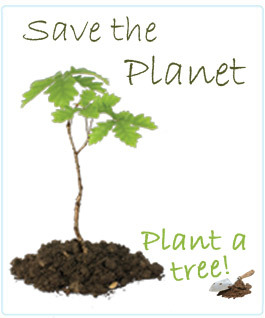 Plant a tree: A single tree will absorb one ton of carbon dioxide over its lifetime. Shade provided by trees can also reduce your air conditioning bill by 10 to 15%. 2. Replace a regular incandescent light bulb with a compact fluorescent light bulb: CFLs use 60% less energy than a regular bulb, about 300 pounds of carbon dioxide a year saved. 3. Clean or replace filters on your furnace and air conditioner: Can save 350 pounds of carbon dioxide a year. 5.Do not leave appliances on standby: Use the “on/off” function on the machine itself. A TV set that’s switched on for 3 hours a day and in standby mode during the remaining 21 hours uses about 40% of its energy in standby mode. 6.Move your fridge and freezer: Placing them next to the cooker or boiler consumes much more energy than if they were standing on their own. Defrost old fridges and freezers regularly Even better is to replace them with newer models. 7. At home: replace your old single-glazed windows with double-glazing you can even save more than 70% of the energy lost. 8.Cover your pots while cooking: Even better are pressure cookers and steamers: they can save around 70%! 9.Use the washing machine or dishwasher only when they are full. Nowadays detergents are so efficient that they get your clothes and dishes clean. 10.Take a shower instead of a bath: A shower takes up to four times less energy than a bath. 11.Cut down on your polythene usage: Collect all when you for shopping & keep them in your treasure box, use them the next time. 12.Reduce the number of miles you drive by walking, biking, carpooling or taking mass transit wherever possible Avoiding just 10 miles of driving every week would eliminate about 500 pounds of carbon dioxide emissions a year! 13.Think before you buy: One bottle of 1.5l requires less energy and produces less waste than three bottles of 0.5l. As well, buy recycled paper products: it takes less 70 to 90% less energy to make recycled paper and it prevents the loss of forests worldwide. Choose products that come with little packaging and buy refills when you can. Reuse your shopping bag. Buy fresh foods instead of frozen and Frozen food uses 10 times more energy to produce. 14.Spread awareness & Encourage others:30.Encourage your school or business to reduce emissions. You can extend your positive influence on global warming well beyond your home by actively encouraging others to take action. 15.Encourage the switch to renewable energy: Successfully combating global warming requires a national transition to renewable energy sources such as solar, wind and biomass. 16. Protect and conserve forest worldwide: Forests play a critical role in global warming: they store carbon. When forests are burned or cut down, their stored carbon is release into the atmosphere – deforestation now accounts for about 20% of carbon dioxide emissions each year. 17. Change your traveling and driving style: Start a carpool with your coworkers or classmates, sharing a ride with someone just 2 days a week will reduce your carbon dioxide emissions by 1,590 pounds a year. Keep your car tuned up, when just 1% of car owners properly maintain their cars; nearly a billion pounds of carbon dioxide are kept out of the atmosphere. 18. Drive carefully and do not waste fuel: You can reduce CO2 emissions by readjusting your driving style. You can reduce CO2 emissions by readjusting your driving style. Choose proper gears, do not abuse the gas pedal, use the engine brake instead of the pedal brake, and turn off your engine when your vehicle is motionless for more than one minute. 19.Check your tires weekly to make sure they’re properly inflated: Since every gallon of gasoline saved keeps 20 pounds of carbon dioxide out of the atmosphere. It is a charity donation and a way to make a special occasion like a birthday, anniversary or graduation with an equally special gift – and unique gift that of changing the life of a less privileged person. Giving and Celebrating. We have so much to celebrate in life, let’s share our joy of giving with family and friends. Whether you are celebrating a birthday, anniversary, graduation or retirement, you can commemorate the significant occasion with a group donation to your favorite charity through Celebration Donation. It’s an exciting way to be social and socially responsible. All you need to do is: plan your party, choose your charity, invite your friends, and then… “Watch Giving Grow”. Simple You won’t believe how giving as a group makes a bigger impact on your favorite charity! 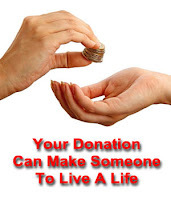 Share the idea of raising money for the chosen charity – not as an individual, but as a group. 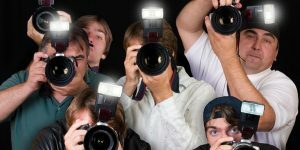 Let’s inspire and encourage as many people as possible, including some that have never given to charities, to raise money in a new and exciting way – as a group during any celebration or social event. Planning a birthday party? Want to impress someone? Need help with Christmas gifts? We have just the right gift options for you. When it comes thoughtful gifting, what better than a plant? What’s more, we don’t just give you a plant. Our plant come in beautiful containers chosen to match the mood and occasion and packaged in trendy handmade paper bags to look extra special and exclusive. We make your gifts as personal as it should be. Planting a tree in someone’s name is a great way to memorialize the birth of a child, the death of a loved one, or a special occasion in anyone’s life. You’re helping to improve our environment, removing carbon from the atmosphere, and creating a lasting memory of the occasion. Your tree may also help improve someone’s life if you purchase through a nonprofit organization working to make the world a better place. You can plant trees in someone’s name through nonprofit organizations. They will plant the trees in developing countries to help local villagers become more self-sufficient. Or if you prefer stay closer to home, you can choose a company that will plant your tree. Make the newest member of the family a Crocodile, tiger or other Animal at Zoo! 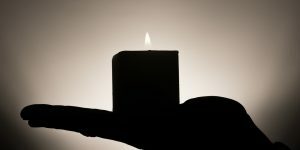 Support the poor with alternative gifts that promote self-sufficiencyIf you’re looking for a way to get away completely from a commercialized gift, consider buying a gift in someone else’s name. Similar to planting a tree in someone’s name, you can give the gift of a water buffalo, a fuel-efficient stove, educational books or more from nonprofit organizations. These alternative gifts range from inexpensive (one book to a child to sponsoring a child education or health etc) these gifts will help you and your gift recipients share the true meaning of the season. We have so much to Celebrate in Life. 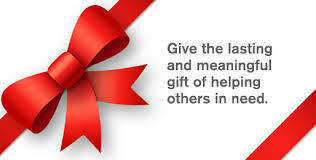 Let’s spread the Joy of giving. Avoid throwing away good food and help preserve the environment and save money in the process. 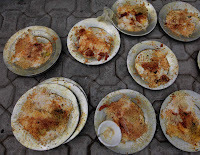 If you remember your last restaurant visit and compare that with overall statistics of food wastage in India alone, you would want to go back and lick your plate clean – and maybe even the utensils, the food was served in. But, the lack of awareness around the issue and interrelated issues, such as malnutrition, poverty and food shortage, is minimal and hence a small contributor to the larger picture of food waste and the aforesaid issues. But, food waste alone incurs huge monetary losses to industries and mankind, in general. 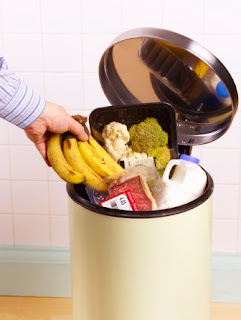 Food waste primarily revolves around any form of food, raw or cooked, used or unused – discarded or intended so. Professional bodies and governments alike, further diversify the definitions to various categories and implications such as the kind of food waste, the form it is produced/generated by and materials and source of waste. The dramatic impact that food waste can have on a particular nation, in terms of economic and social perspectives, is enormous especially in larger countries like the USA, UK and India – depending on the population and food consumption. Of the various countries trying to tackle the issues of food waste and their respective losses, Japan seems to be doing very well via the administrative system. Against India’s all-encompassing laws for food waste, Japan has various laws pertaining to the different causes of food wastage, such as Container & Packaging Recycling Law’, ‘Food Wastes Recycling Law’ and even a ‘Law on promoting Green Purchase’, enabling industries and agriculturists to look towards effective uses of resources and also join the eco drive – which needs more initiatives like these. Various scientists and environmentalists believe, stringent laws, effective administration and self responsibility are the more vital points which can be looked at for grass root changes to come about, especially in country like India, where the maximum food waste comes from the agricultural waste sector. A report submitted by Rabo India Finance, a private consultancy firm, in 2007 to the government of India estimates a whopping 58,000 crores worth of rupees are lost due to agricultural food waste, alone. However, food waste can be tackled in more effective ways, with the help of various schematic and planned methods implemented by the governments and private firms simultaneously. Food waste, like other waste can be dumped but could also be used for various other purposes such as feeding animals or be biodegraded by various methods such as a composting and used for soil enrichment. Though a lot of the food waste caused due to the food processing can be difficult to reduce without affecting the quality of the finished product, certain incentives must be provided by the administrative bodies, to look to reduce this form of food waste. Also, a lot of food waste is created post harvest due to the lack of infrastructural facilities such as cold chain provisions, transportation and proper storage facilities. However, with a growth in the retail market and its demand, a lot of foreign companies have shown interest in agri-based and processed food products. The following countries are the countries that are affected the most by food deprivation: Africa, India, and Pakistan. Many of the people affected by food waste are little children; about 5 million children die of starvation per year. Tons of food is dumped to landfills each year when the food thrown away is edible. The people around the world who starve can be saved and can be fed. What needs to happen is that people need to send more food to these people. Ones who are affected the most are little children who only eat a meal once a day. If supermarkets along with other food industries gather up, together they could save many lives and also save money. While millions starve in a country ranked second in the world for the number of children suffering from malnutrition, India also witnesses abject waste in abundance. Food is hoarded for price rise, until rot sets in, and is no longer fit for human consumption. And across the cities, marriage halls hold feasts, while beggars outside scavenge through the garbage, looking for another day’s sustenance. Weddings faulted for prodigious food waste: As the ranks of India’s wealthy surge with rapid economic growth, many families are staging extravagant displays of food at their children’s weddings to show off their newfound affluence. The prodigious waste that follows has horrified many in a nation where food prices are skyrocketing and tens of millions of young children are malnourished. one-fifth of the food served at weddings and social gatherings is discarded, ”It’s a criminal waste,” The tons of food wasted at social gatherings across the country each day contrasts sharply with the food shortages, often bordering on chronic starvation, faced by millions of poor Indians..
Like elsewhere in Asia, food prices in India are rising fast as demand outstrips production. And the burden is falling disproportionately on the poor. Experts say the jump in prices for staples to record highs over the past few months has pushed another 64 million Asians into poverty. The problem of waste management runs across geographies and its gravest causal agent, i.e., urbanism, is a global phenomenon. However, its ramifications are relatively more pronounced in developing nations on account of improved standards of living and changing consumption patterns. The growing population and increasing consumer demand are leading to excessive consumption of available resources and generation of tremendous amount of different kind of wastes, which is emerging as a chronic problem in urban societies. Their efficient management is needed at the earliest to avoid numerous problems related to public and environmental health. Food waste has serious implications for society. Consumers unnecessarily spend a lot of time and money on food they don’t eat. Rotting food also pumps heaps of greenhouse gases into the atmosphere. Plus the costs for collecting, transporting and land filling the excess food come from the taxpayers. The good news is that some simple lifestyle adjustments offer huge payoffs for your family, community and the planet. 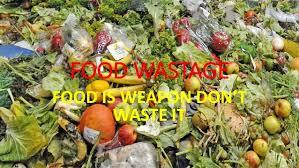 The situation of food wastage is not that serious in India as compared to the European and North America countries. These countries waste fresh produce for preposterous reasons. The carrots if they are not straight are discarded; if the apples are not of the right color then they are thrown away as waste. This is the manner in which one-third of the fresh produce is wasted. The wastage in the Indian subcontinent is due to different reasons. We in India lack proper transportation facilities to reach out to the market as well as cold storage’s for fresh produce and food crates. Coming back to the local scene, as to what we as individuals can do to improve the situation. Food that weBUY, EAT and WASTE is directly related to the Global crisis we are facing. It might be know to you all that rarely we eat everything that we buy. So let’s make it a point to BUY WHAT WE NEED and EAT WHAT WE BUY. Let’s contribute in whichever small way possible to avert the food crisis in our state and country. Let’s make earth a better place to live in for the future generations to come. We have been presented with an opportunity to preserve the greenery and mankind on this planet. Let us not disappoint God who has faith in us that we can make a change. At the consumer level, we can reduce our contribution to food and energy waste by taking simple, basic steps at home, in the grocery store and at restaurants. For starters, plan a food menu before each trip to the grocery store so it’s easier to keep track of when vegetables, fruits and other perishables need to be eaten throughout the week. Careful attention should also be given to how food is stored and wrapped in the refrigerator so it doesn’t spoil as quickly, and consumers should remember to buy only what they will eat. Danger! Chemicals In Cosmetics May Kill You! The average woman uses about 12 different beauty products a day – from her shampoo to body lotion to lipstick. That is a lot of stuff we’re slathering on our bodies! It’s hard to resist when society dictates a certain standard of beauty and personal appearance. Depending on the trends, we strive for shiny straight or curly hair, bronzed or pale skin, thin or bold eyebrows.. the list goes on. But do the majority of us understand the list of ingredients on the back of all these products, let alone even look at them? If human health isn’t a top priority, then what about the environmental side-effects? As with most items we buy and consume today, there are excessive amounts of unnecessary packaging – which usual ends up festering in a landfill for several lifetimes. There is all the energy and fuel used in the transportation of the materials to your local drugstores across the country. And hey, what happens when you wash all those chemicals off your hair and body and flush them down the drain? (That is, the chemicals which aren’t already absorbed directly through your skin) They flow into the wastewater and can disrupt all sorts of micro-ecosystems out there. Although a number of cosmetics claim to be ‘natural’ or even ‘organic,’ there isn’t currently strict standards on what those terms denote. A crucial example of hypocrisy in the industry is the pink ribbon cancer-fighting product which actually contains ingredients which have been proven to cause cancer in the first place (called ‘pinkwashing‘).This is a brief overview of the appalling risks involved in using all these beauty products which is second nature to most of us. Ever wondered why that Chinese nail polish dried up so soon? That is just one of the few flaws found in cheap cosmetics. Here are some of the reasons why you should not opt for attractive looking cheap cosmetics…. Manufacturers of these cosmetics compromise on the quality, longevity and stability test. During these tests the products are put under extreme conditions and observed with regards to quality. Manufacturers also use extra perfumes to make the product attractive for the consumer. And excess perfume causes acne. Using cheap eyeliner or kohl can make your eyes water. Sometimes these products even cause irritation. Besides drying very fast, the cheap nail polishes start smelling and even changes colour. Sometimes these cosmetics don’t suit your skin and cause allergies. Some of the fancy looking nail polishes that you get at throwaway prices don’t have a date of manufacture on the bottle. Most of these cosmetics have crossed their expiry date. Manufacturers also use a creamy base to sell the product. If you have oily skin, this creamy base blocks the oil glands and results in breakouts. A cheap skin-lightening product may contain lightening agents that haven’t been tested and may cause pigmentation. It may also leave dark patches on your skin. Most of these products don’t mention the ingredients used in them. In case of any side effects, this makes it difficult for a dermatologist to treat your skin. Foundation and blushes contain zinc oxide, which is not harmful for skin. But a cheap brand might use eccess colour in these products, which may cause allergies. Lipsticks that have passed their expiration date could cause discolouration of the lips, swellings or peeling of the skin. Severe rash and redness are some of the most common skin problems caused by using untested cosmetics. Always use good quality brands. Make sure the products have been tested. Always check the date of expiry, irrespective of the brand. Always conduct a patch test on your forearm to ensure that you are not allergic to the product. Only one in four women consider the expiration date of her cosmetic products, according to research. Other women put their health at risk by using cosmetics for several years, even if they start to smell funny or discolor. Here are the 12 toxic chemicals you should avoid when buying make-up, which put you at the highest risk of biological mutation, reproductive complications, acute toxicity, tumors, skin and eye irritations. – Basic hygiene is key: Before applying makeup, wash your face and hands with soap. – Instead of directly touching your makeup by placing your fingers in the product, pour a little into your palm or scoop a little out with a disposable spoon or applicator. – Don’t share your makeup with others. – Keep makeup containers tightly closed when not in use. – Throw makeup away if the color changes or an odor develops (makeup has preservatives, similar to that in food, which can break down over time). – Don’t use water or, even worse, saliva, which could introduce bacteria that could easily grow out of control. If makeup has lost its original texture or consistency, the preservatives have probably broken down. Why cell phones are unsafe? The controversy lies over whether or not cell phones emit enough radiation to cause adverse health effects. The concern is that cell phones are often placed close to or against the head during use, which puts the radiation in direct contact with the tissue in the head or they wear it on their hip causing potential danger to the kidneys and liver.The added concern with non-ionizing radiation, the type of radiation associated with cell phones, is that it could have long-term effects. Although it may not immediately cause damage to tissue, scientists are still unsure about whether prolonged exposure could create problems. This is an especially sensitive issue today, because more people are using cell phones than ever before. The rate at which radiation is absorbed by the human body is measured by the Specific Absorption Rate (SAR), and its maximum levels for modern handsets have been set by governmental regulating agencies in many countries. In the USA, the FCC has set a SAR limit of 1.6 W/kg, averaged over a volume of 1 gram of tissue, for the head. In Europe, the limit is 2 W/kg, averaged over a volume of 10 grams of tissue.Many scientists argue that the radio wave has been found to create damage NOT related to thermal heat damage, which the industry has long argued is the only possible cause of biological harm. Therefore, simply lowering the SAR rating on cell phones — which determines how much radiation your body absorbs – or making sure your phone is within legal SAR limits, will not guarantee safety by any means. The modulated information-carrying radio waves resonate in biological frequencies of a few to a few hundred cycles per second, and can stimulate your vibrational cellular receptors, causing a whole cascade of pathological consequences that can culminate in fatigue, anxiety and ultimately cancers. 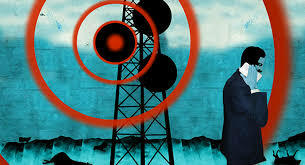 Cells interpret even a minute amount of cell phone radiation as a threat, and shut down. This is a response intended to protect them, but when you talk on a cell phone, it lasts for far longer than your body can handle. A lot of the damage is caused by the disruption micro tubular connections that allow biophotons to communicate between cells, which decreases intracellular communication. Increased deposits of heavy metals also begin to accumulate in your cells, which increases intracellular production of free radicals, and can radically decrease cellular production of energy, thus making you incredibly fatigued. A number of studies have been conducted to explain the side-effects of using mobilephones. The latest one says that the radiations emitted from phones cause headaches and could also interrupt one’s sleep patterns. Older studies have found that excessive mobile phone usage can increase mouth cancer risk and can even cause tumors. Then later, studies showed that mobile phones are safe for short-term. Another study even proved that cell phone related headaches are all in the mind. Regarding the latest cell phone study, the researchers from Wayne State University and Sweden’s Karolinska Institute say that participants who were exposed to radiation from mobile phones during the study were found to experience headaches, change of moods, confusion and trouble in sleeping. Children Should Never Use Cell Phones:Barring a life-threatening emergency, children should not use a cell phone, or a wireless device of any type. Children are far more vulnerable to cell phone radiation than adults, because of their thinner skull bones. Use Safer Headset Technology: Wired headsets will certainly allow you to keep the cell phone farther away from your body. However, if a wired headset is not well-shielded — and most of them are not — the wire itself acts as an antenna attracting ambient information carrying radio waves and transmitting radiation directly to your brain. Make sure that the wire used to transmit the signal to your ear is shielded.The best kind of headset to use is a combination shielded wire and air-tube headset. These operate like a stethoscope, transmitting the information to your head as an actual sound wave; although there are wires that still must be shielded, there is no wire that goes all the way up to your head. Social awareness- Responsibility..Be a responsible person of society..u feel proud.. In order to develop social awareness within society, information is key. Discussion about that information is also critical as it presents the same data in different formats. Moreover, debate about that information is vital to the process of developing social awareness. Exposure to different points of views and comparison of advantages and disadvantages is what leads to successful solutions to today’s global problems. Therefore, social awareness is clearly an important societal necessity as our world swiftly moves forward in a technological age shaped by a multitude of overwhelming global issues. –Do all have the proper awareness of social responsibility? –Is it the ultimate responsibility of Government – to be socially responsible for all the abuses made by people? –Is it the responsibility of corporate to be socially responsible to maintain and develop the eco friendly environment? 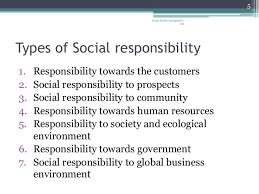 What is Social Responsibility?“Social responsibility is an ethical or ideological theory that an entity whether it is a government, corporation, organization or individual has a responsibility to society. This responsibility can be “negative,” in that it is a responsibility to refrain from acting or it can be “positive,” meaning there is a responsibility to act. While primarily associated with business and governmental practices, activist groups and local communities can also be associated with social responsibility, not only business or governmental entities. * Growing trees, Save electricity, Paying tax promptly etc. * Helping our children for better education pursuits. * Eye / Blood donation. * Sensitizing your colleagues and managers and making them socially responsible. * Supporting children and elders to nullify the social stigma among them. * Raising voice for women empowerment. * Helping helpless old age people. * Keeping the environment litter free. * Making advice not to marry within blood relations. * Celebrating many happy occasions like birthdays, marriage days and other memorable anniversaries with Orhaphanages and old age homes. * Treating the industrial waste with proper effluent plants. * Building educational institutions and hospitals. * Helping the government in construction of public convenience facilities, maintaining gardens, traffic barricade etc. 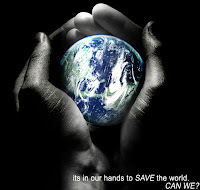 * Creating awareness about the globalization and its cause & effect. * Taking the technology to the public through user friendly modes. * Developing infrastructure in backward areas by setting up industries there. – For example, take school kids to govt. hospital and let them learn how the system works and why it fails or succeeds? Definitely this kind of activity will make them to think a loud. – demonstrate by examples, take them to a old age home and tell them how to and what to help them? In turn they can practice the same at the home. Assign marks to these kinds of activities and make it compulsory. – Ask the educational institutions to inculcate the practice of social responsibility as their second nature. At one stage schools & colleges should mould the students to volunteer more for service; rather than compelling them by undue pressures in terms of marks. But to start with we may insist this system to be compulsory with marks. * Install the social responsibility practices more vigorous with a service mind set. * Government should make it compulsory that every corporate should also submit their corporate social responsibility reports and accounts along with their regular annual reports. * As told earlier rather than insisting and enforcing things it should become a practice.